How to zero rifle scopes> Shooting and Rifle scope guide> What Rifle scope Mounts? What Rifle Scope Mounts To Buy? There are 2 types of mounts: Standard and Weaver and within the types high, medium and low types. 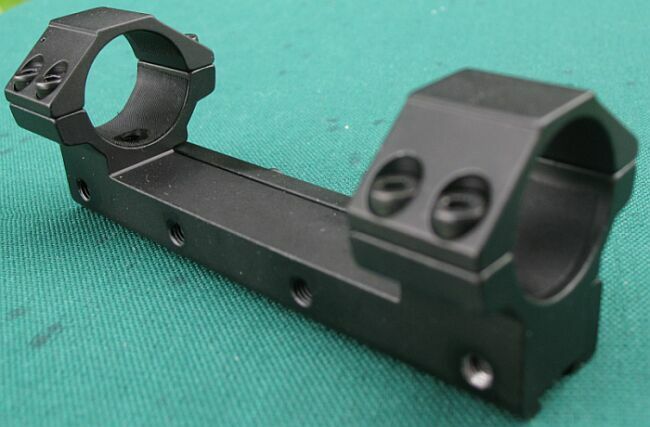 See my ebay shop Rifle Mounts section for both types. 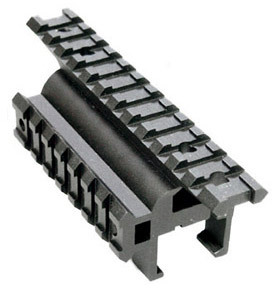 Standard mounts are the ones most commonly used on Air Rifles and Paintball guns. 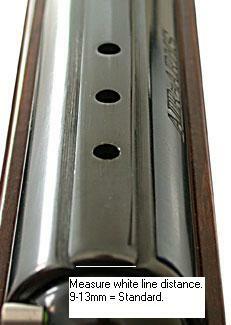 They are for dovetail sight rails of between 9 and 13mm wide between the receivers. Weaver bases are normally flat bases that sit on top of the rifle body with horizontal grooves across the top and dovetail type sides. They are very common on Airsoft rifles and also found on custom air weapons and full bore big boys! Here's an example. This is a double rail where you could fit something like a torch or laser on the side as well. If in doubt measure across the top of your rifle to make sure or email me with your make and model, or, even better, a link to a website with a good picture of it. There are a few, mainly older rifle models that take odd sizes like 16mm. There are mounts out there for these but they're hard to find and I don't stock them. It's worth asking the likes of Airgunbuyer.com (UK) who do lots of types. I only sell medium and high, it makes things a lot simpler and medium are fine for smaller scopes. The 2 types are 25 and 30mm to fit the 2 main riflescope body diameters. 25mm is the most common type of riflescope so most mounts are for this. It tens to be the case that 30mm ones are started to be 30mm and if it is not said so then you can assume them to be 25mm. 1 or 2 piece are the 2 main types. 2 piece in the picture above. 2 piece is the most common and cheapest. 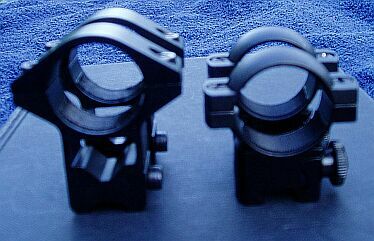 It is a pair of mounts each fitting individually to the rifle base rail. For most cases, unless you're doing high power shooting 2 piece will do the job. 1 piece is where both rings are part of a single body as you can see in this picture. They tend to be more expensive than 2 piece but in turn are more solid and less likely to slip.